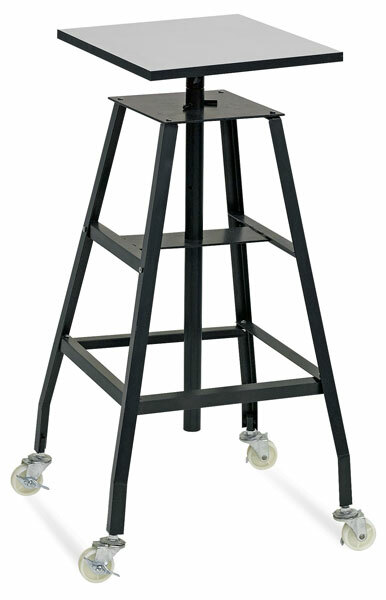 This four-legged steel floor stand is built to handle heavy work, making it an ideal choice for schools and studios. Its leg spread at the base is 20" (51 cm) and the legs are connected to a center shaft that allows for vertical adjustment of the durable 15¾" (40 cm) square melamine top from 35" to 45" (89 cm to 114 cm) high. The casters provide mobility and lock for stability. Weighs 30 lbs (13.6 kg).